The Hellboy reboot production was reportedly a huge mess. The news drops as the movie is about to hit theaters and was slammed with a wave of negative reviews. As of this writing, the movie only has a 12% Fresh Rating on Rotten Tomatoes as a result of angry critics calling it garbage, with many claiming the reboot was "unnecessary," which is something some fans have been saying ever since it was officially announced that Guillermo del Toro and Ron Perlman were not making a third chapter in their original franchise. As it turns out, there were quite a few problems behind-the-scenes. Neil Marshall is the director on the Hellboy reboot, but from the sound of things, he wasn't given a whole lot of say before and after the cameras were rolling. Cinematographer Sam McCurdy is one of Marshall's go-to people in the industry and he was fired early on in the process by producers Lawrence Gordon and Lloyd Levin, who were reportedly trying to send a message to Marshall about who is really in charge on the set of Hellboy. It has also been reported Marshall is encouraging the story to make himself look better in this current situation. All of the claims made above have been disputed by Martin Singer, lawyer for Lawrence Gordon and Lloyd Levin. 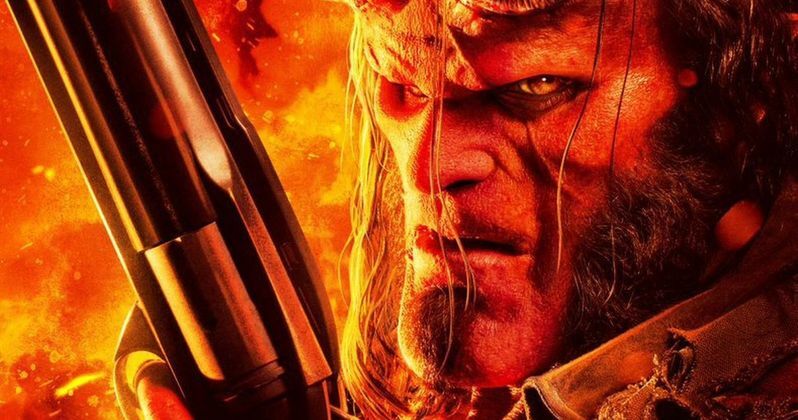 It's important to note that the producers previously worked on Guillermo del Toro's two Hellboy installments, which may have been where some of the alleged sticking points came from. Singer denies all of the claims and says the tree, like everything else in the movie went through the "exhaustive design and evolution process." Regardless, it sounds like working on the Hellboy reboot was not a lot of fun. Making matters worse, the movie is expected to pull in less money at the box office than originally thought. The Wrap was the first to report about the messy production of Hellboy.